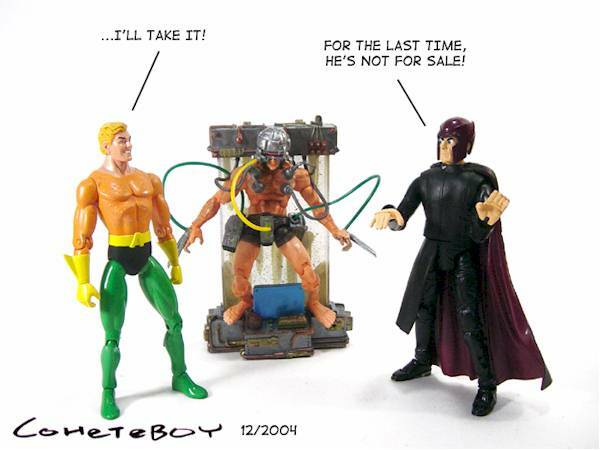 Coheteboy checks in tonight with a review of several of more Marvel Legends figures. Take it away, CB! 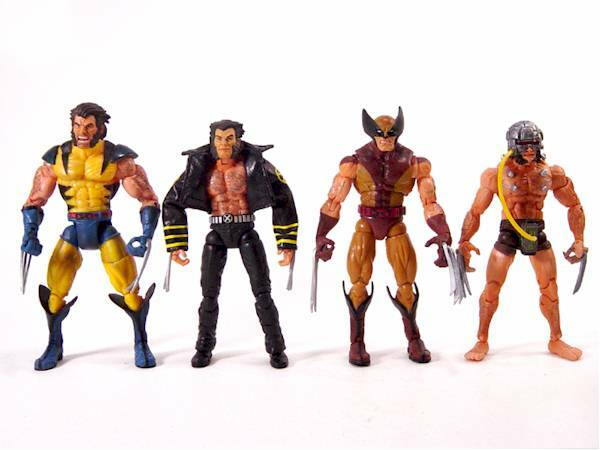 Seeing as Marvel Legends series 8 has already hit and series 9 coming REAL soon, I thought I'd take a quick step back and visit some Legends from series 7 that haven't been reviewed on this site yet: Hawkeye, Ghost Rider, and Weapon X Wolverine are on the menu today. 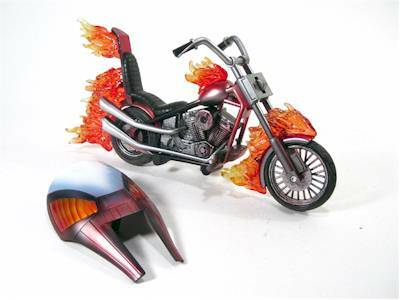 Other figures in this series are: Apocalypse, Vision, and Silver Centurion Iron Man. 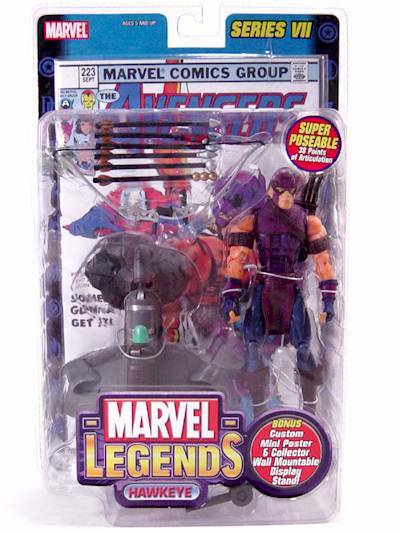 The Clamshell packaging is still the flavor of the day for these Marvel Legends, and that's a good thing. These strong bubbles do pretty well to keep the toys in good shape, but I've beginning to see more and more wear & tear on these as well. Despite that, it's a good way to see the toy inside, but expect to use scissors to break these heroes open. I'm generally quite impressed with the sculpts of Toy Biz's Marvel Legends, and they don't disappoint with these figures. But in my own opinion, there is still room for improvement. Let's start with Weapon X, which is actually pretty darn good! 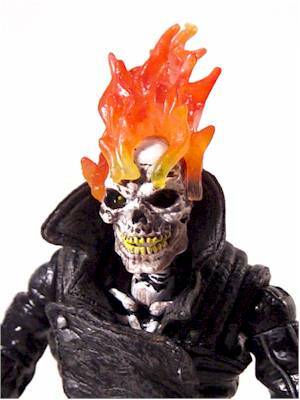 He actually comes with another head so you gotta give them points for that. 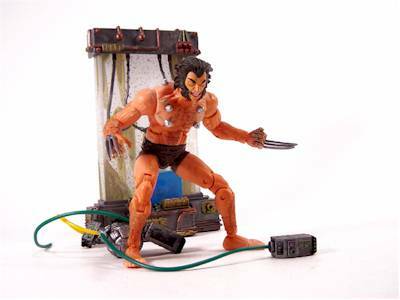 The scale for Weapon X also works well for the character. 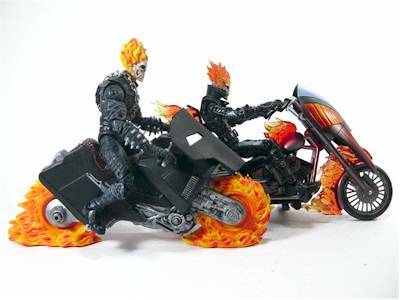 Ghost Rider looked a bit off on first glances, but on closer inspection, I thought it was an even better sculpt than the previous outing. But there really is no comparison since they're so different. 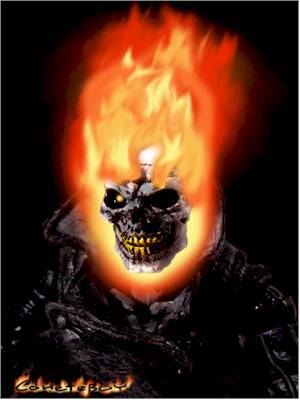 The flames on the head have been improved upon by using a translucent plastic on top of the skull. 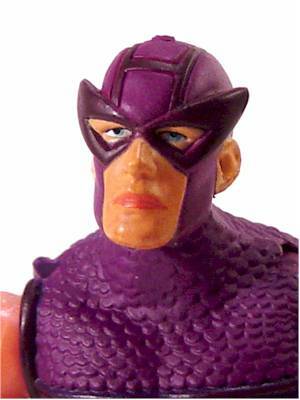 Hawkeye for some reason is the sculpt I'm a bit disappointed with after finally getting this figure. The outfit is done alright but he just looks so depressed! What's wrong with Hawkeye?! Get this guy a beer. 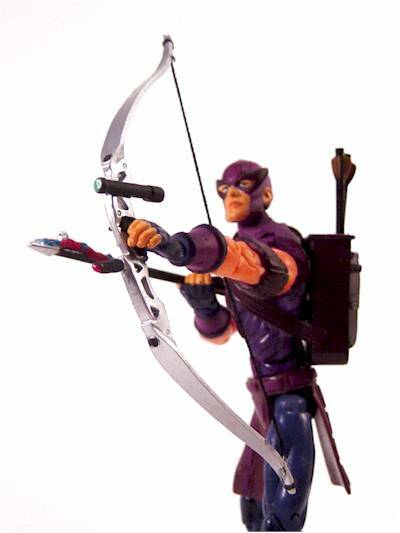 My only other beef with Hawkeye is that he's not sculpted to hold his accessories exactly. He comes with standard-issue hands so it's not quite as cool as the Toy Biz Legolas figure. Ah surprise! I had no paint problems at all with this batch of figures. Articulation is exactly what you expect from Marvel Legends figures. 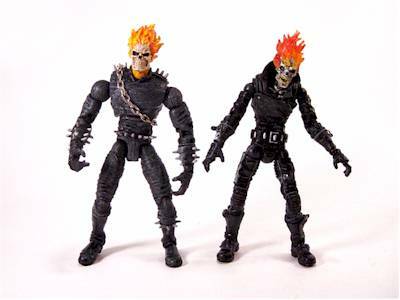 Hawkeye has a whopping 38 points of articulation, Ghost Rider has 37, and Weapon X has 34. What can I say... the accessories that came with these figures are top notch! Two out of three have something to ride on, and the other has a stand-up tanning salon! As always, each figure comes with a unique comic book as well. 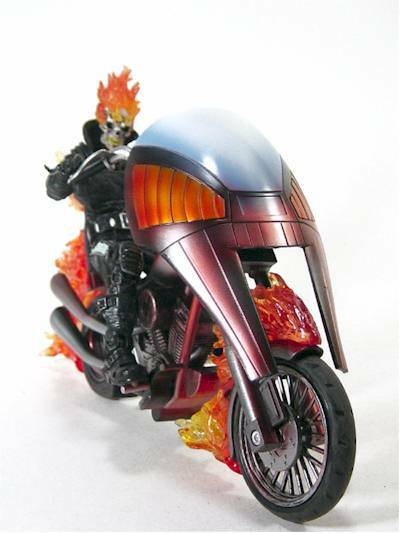 Ghost Rider comes with a well painted and well sculpted motorcycle of course, and the front of it also serves as a shield. 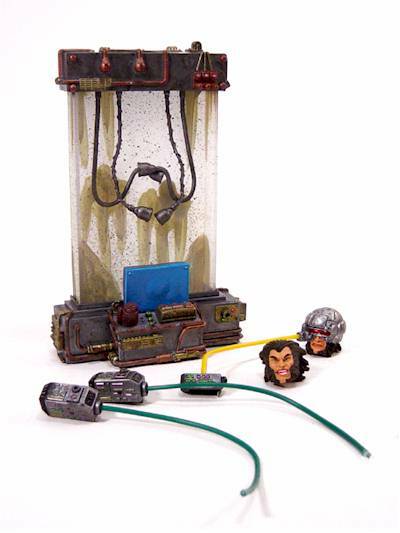 And the wheels actually work this time around with the plastic fire sculpted separately. 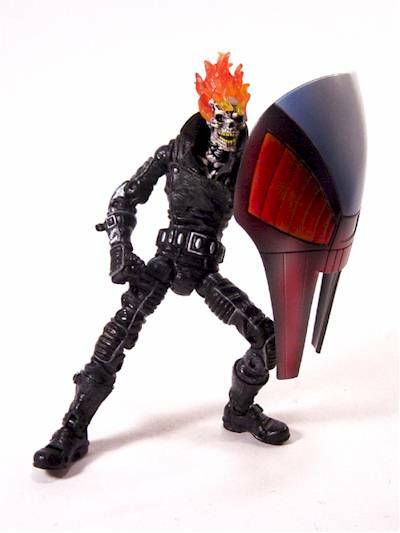 There's also a neat little kick stand to keep Ghost Rider in the up position without any difficulty. 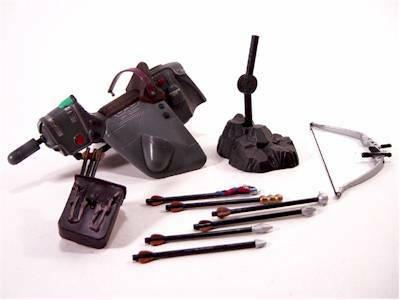 Hawkeye comes with a bag for all his goodies, a bow, and six arrows... one that includes Ant Man. He also comes with his vehicle and detachable base. 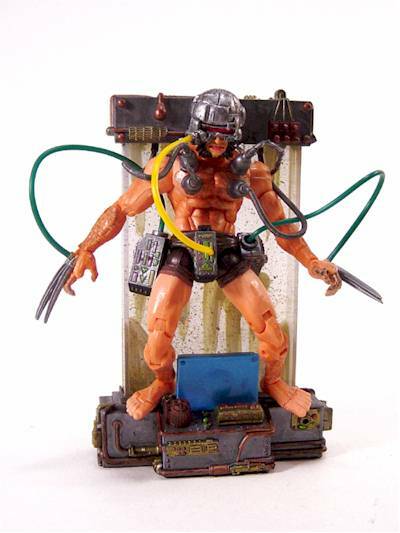 Weapon X comes with an extra head, and a few body attachments to display in his contraption. 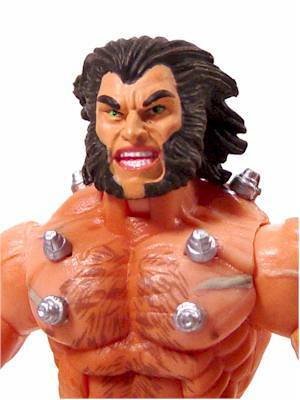 Well sculpted versions of your super heroes with tons of articulation and accessories? 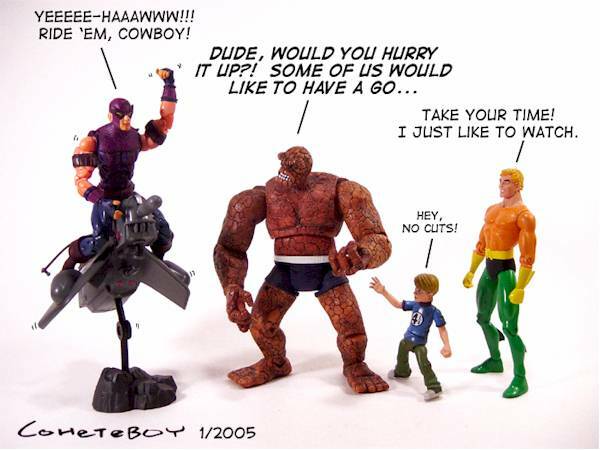 Marvel Legends are here to save the day. That means they're fun. Highly detailed figures with accessories for $6.99 to $8.99? That's an amazing value... IF you can find it for retail! Overall, these are great figures. But they're not perfect for minor reasons here and there. But if you collect Marvel figures, you're not gonna care about what I say anyway. Pick up these figures if you can! Toys'R'Us, Wal-Mart and KB Toys are your best bet at retail... but for older figures you might need some other options!